responsible for the care of the earth. Members of a CSA support the farmers as they tend the earth in a responsible way while growing the highest quality produce. Farmers reciprocate by providing local, fresh produce for their members. 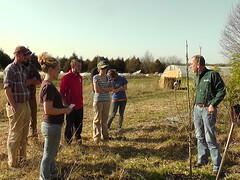 Have the opportunity to gain knowledge of growing food and stewardship of the earth. Become more aware of their relation to the land, farm life, and processes that make our lives possible. Have the pleasure of knowing who their product is going to and consequently feel more care, responsibility, and reward in their work. Are relieved of marketing labor and can focus more on growing food. Are nurtured into fertile, bountiful land. Benefits by the preservation of open spaces, and the maintenance of an important agricultural component that is rapidly being consumed by development and industry- by preserving this diversity the community becomes a more whole and satisfying place to live. Is strengthened by the bringing together of people who share healthy concerns about our future. Gets an economic boost when food dollars remain within the community . agriculture”, by Elizabeth Henderson with Robyn Van En. Community Supported Agriculture, first seen in the U.S. in the late 1980’s, is based on ideas from Europe and Japan. The number of CSA’s in The United States is difficult to determine, but sources like Local Harvest.Org put the number well over 3,000. 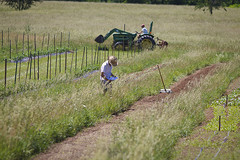 We hope that you find a renewed connection with the food you eat through our CSA farm. Many people discover that eating seasonally– limited to what we can produce in this area at any given time– can be challenging, but also rewarding. Implied in sharing the risk of farming with us, your farmers, is the knowledge that under certain conditions some crops may do poorly. Pressures from the weather, insects or other pests can have an effect. 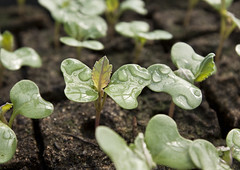 By planting a large variety of vegetables we decrease these risks substantially, and every season also has its bumper crops even when conditions are less than optimal. For more information on our CSA, including prices and descriptions of typical shares, see CSA information above, or click here.